It’s Youth Day in South Africa tomorrow 16 June. It’s the day on which we commemorate the youth who stood up to the Apartheid government in 1976, raised their collective voice demanding “Equal Education” over their parents’ preferred chant: “Half a loaf is better than no bread.” It was the day they loosened the oppressive grip that Bantu Education aimed to have over young minds. The first youth to die that day was merely 13 years old. I don’t think Hector Peterson imagined that 35 years later he would be written about as a martyr Armed only with their determination, placards and freedom songs, hundreds more youth were gunned down in the days that followed. 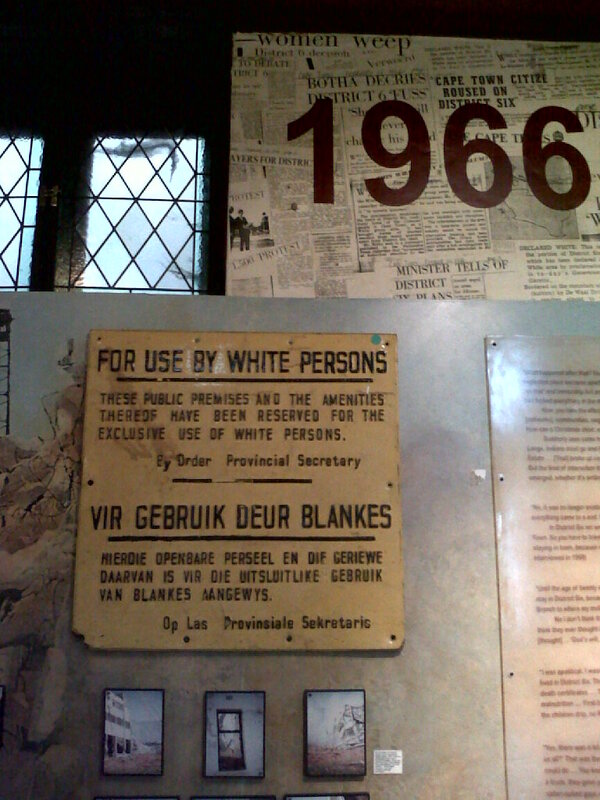 And hundreds more in the years preceding the dismantling of Apartheid. To remember them still hurts. They risked their lives for a future they would never see. The South Africa we are proud of today, where we experience the joy and freedom to be so very diverse – and are happy to celebrate and engage with that diversity – is the future that they died for. Are our youth fully conscious of the enormity of that gift? We live in the heritage of those and other martyrs. But what is our legacy? In my work with youth, I am often disturbed by the greedy current of individualism sweeping our youth along. They are urged to study harder, to get great jobs, to attain all the trimmings and trappings of success. When I ask them about their future, they inevitably gush about the degrees they will have, the cars they will drive one day, the designer threads they will wear, the fat salaries they will earn, the green suburbs they will live in, and the respect, status and influence that they will have through these accomplishments. This is what their teachers and parents are cheering them on to achieve, they say. In their speaking, there is a numbness to their fellow South Africans, a deafness to the pleas of the poor, a blind faith in the fiction about what breeds satisfaction. And it saddens me…for they only echo us. In our free and beautiful country, our communities – indeed our youth- are plagued by ills we can no longer blame our government for. Nor can we expect that the actions that erradicate these social ills must come from elsewhere. They are not ills that money and status can cure. Our youth simultaneously face the mediocrity of the rat race, low pass rates, the scourge of HIV and AIDS, unprecedented rates of teenage pregnancy and drug addiction on a community level. In honouring the memory of Sowetan youth tomorrow, many public programs are focusing on empowering and uplifting youth from all communities to grab opportunities and reach for success. And rightly so. Our youth must succeed. But at what? Are we empowering our youth not only to deal with the challenges they face, but to interrupt the spiral of decline? Are we getting across to them that this is their Legacy? Are we effectively communicating that with the freedom and power they have been born into, comes the unshirkable responsibility to serve, grow and lead communities that are healthy, sustainable, empowered and dignified. My concern is that we are promoting education as a way to achieve a standard of living, rather than as an access to powerfully developing a way of life that will make a difference to the quality of life for all. Who will be the ones we’ll be blogging about then? Now you may think that museums are boring but – although only 359 years old – Cape Town is a city with a history that is simultaneously rich, cruel and inspiring. 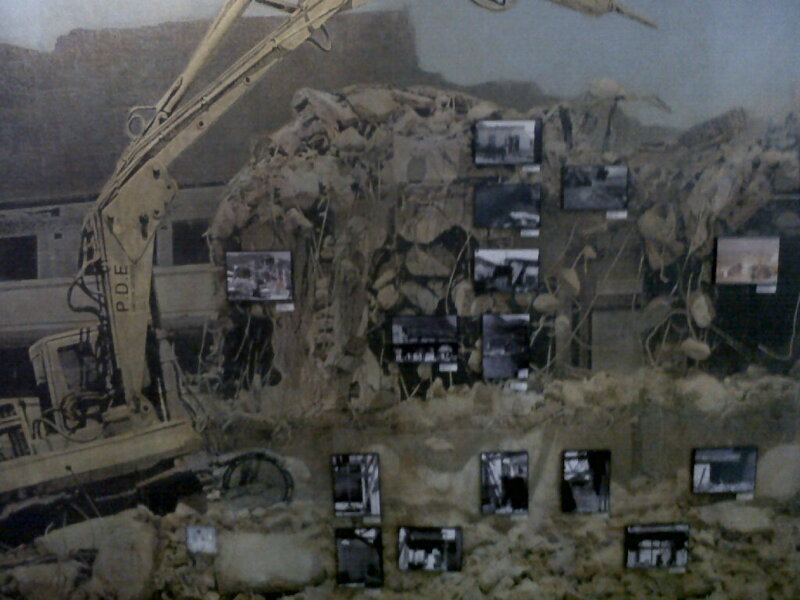 And the District Six Museum captures that. With Table Mountain forming a secure backdrop, the open stage stretches all the way to the Cape Flats where the drama continues today. The Museum fascinates people who visit it because it tells the story of how a government physically destroyed the homes of thousands of people under a policy of segregation during the Apartheid era. Bulldozers razed hovels, houses, flats, neighbourhoods to the ground. Families were split, communities broken and today the gaping emptiness remains at the foot of the mountain, while the Cape Flats – where those evicted were moved- is a daily scene of lost battles against drugs, alcoholism, unemployment and crime. Horrible as it sounds, we love these kinds of stories. We want to understand how we came to be as we are, or explain how others made us this way. This museum was built to tell this story. 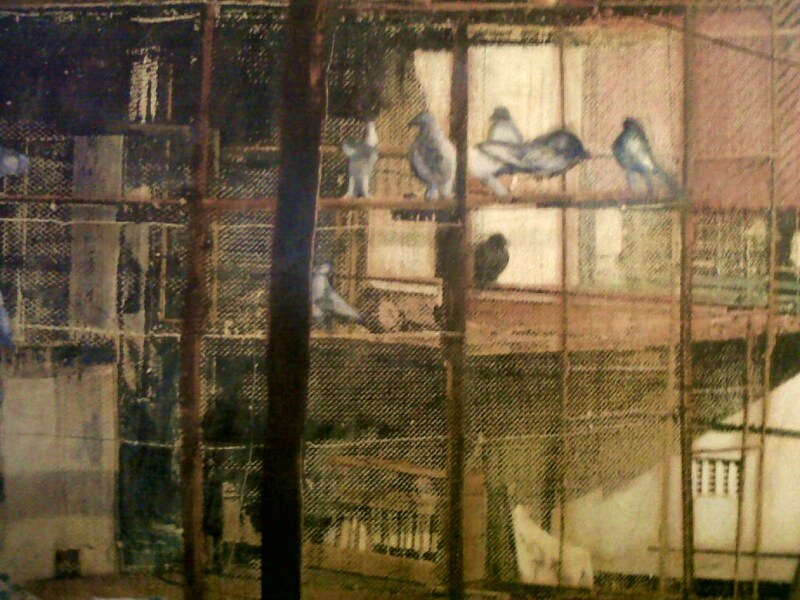 The curator, Noor Ebrahim, regularly retells an account of his racing pigeons who, after months on the Cape Flats still flew ‘home’ to District Six and perched in front of the Moravian Church every time he set them free. For most visitors, whether you read it or hear it, it’s a tear jerker. But there are some surprising elements of the museum that may be glossed over or even missed. 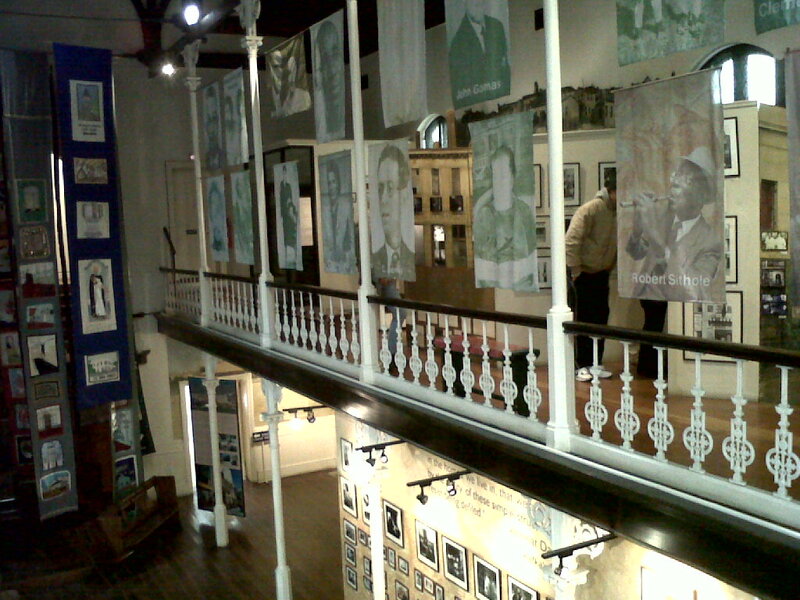 That the museum tells a tragic tale is only one interpretation: There are portrait flags that fly in the museum celebrating its heroes: philanthropist Dr Abdurahman, activist Cissie Gool, poet and writer Richard Rievs, ballet dancer Johaar Mosaval, penny whistler Robert Sithole and so many others. 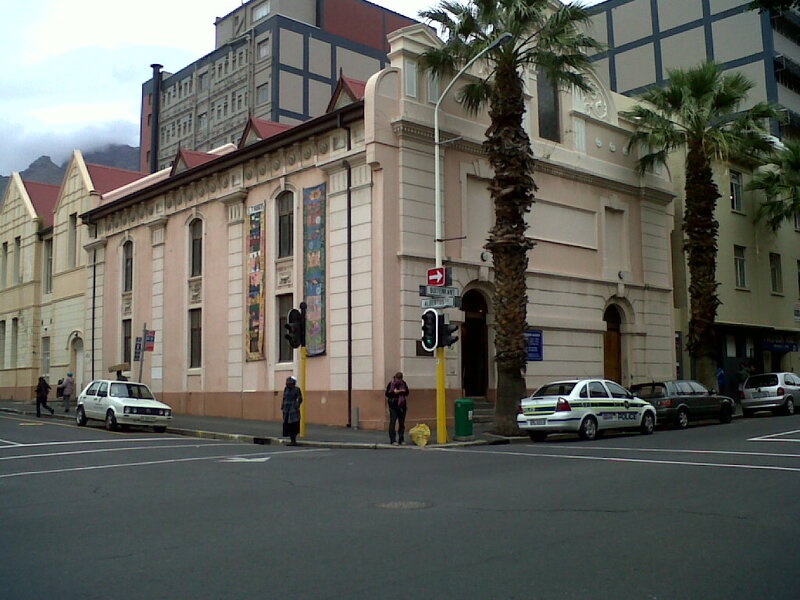 They are not just famous people who once lived in District Six. They are extraordinary in that they did not allow the destruction of their homes to become the destruction of their lives. They chose to use the experience of eviction and discrimination to forward their own contribution to the world. It is they who make the visit a life lesson. Their lives demand that we examine our own narrative and quit retelling the sad stories that keep us stuck. Given, a walk down memory lane can bring on a bout of nostalgia, a longing for the good old days when the worst gangsters only had fist fights and children played in the streets with wooden pegs, tin cans and chalked blocks with no fear of being hit by stray bullets. But that only serves to disconnect from right now. On the other hand, remembering can evoke sadness, anger or hatred…that provokes blaming and revives long held grudges. Neither reaction is empowering. 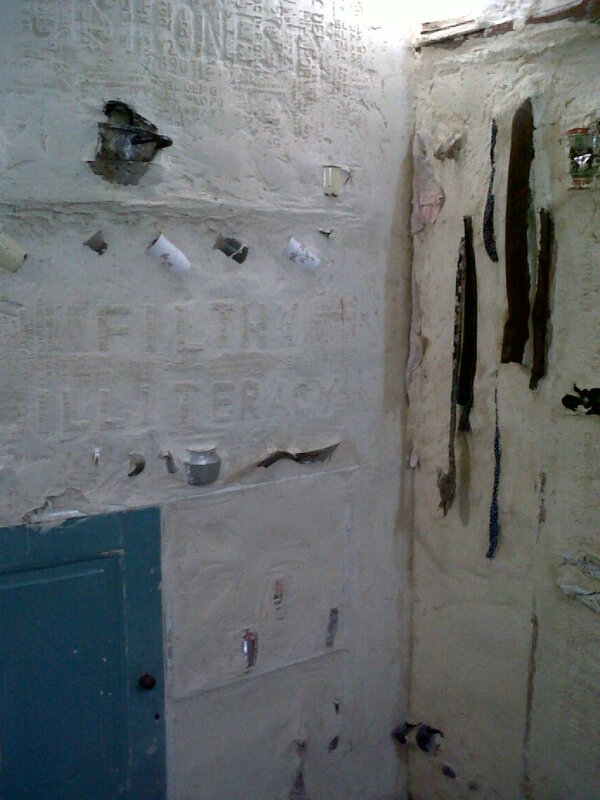 Maybe there is something to consider about memory itself, as Roderick Sauls suggests in his “memory room” exhibit in the museum. 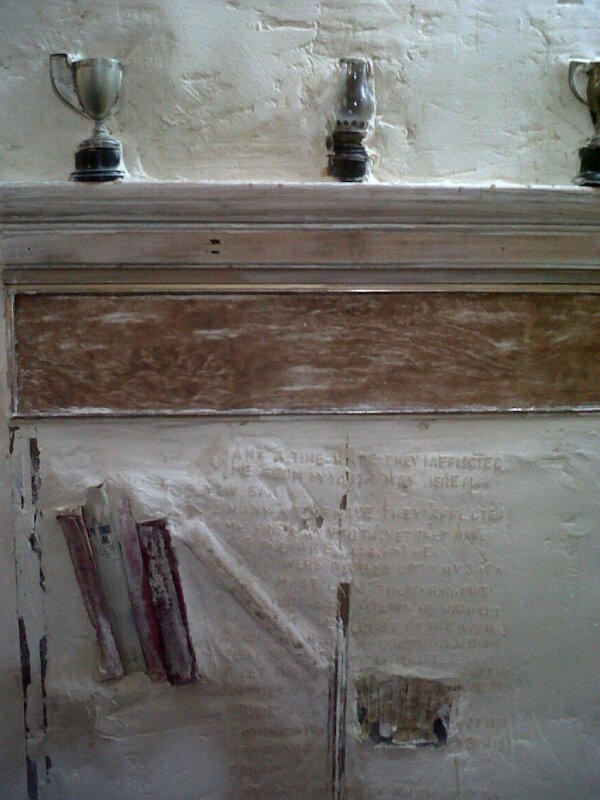 All the objects on display are only vaguely recognisable, as if excavated from limestone when they’ve actually been dredged up from a chalky memory. Some items stick out clearly enough, but others require a fair amount of guess work to determine what they are…the tricks our memory plays as we remember and create what we see in our mind’s blurry eye. How much of what we remember is what actually happened? And how much of it is simply our own reason for not taking up the challenges life presents and playing fullout to be productive, successful or just plain happy? We don’t have to forget the history, but before we remember, let’s choose whether we are going to tell it as a story that inspires us or one that keeps us stuck. then remember what you called me. I remember singing this to my sister or friends when as children, our tiffs devolved into name calling. This was the mantra that protected our hurt feelings and let others know that we were resistant to the pain they were trying to inflict. And yet, even as kids we knew that it didn’t work…we were -and often still are – deeply hurt by names, by words. As children, we learn to either strike back, with physical force, fiercely sharp wit, or to withdraw, hardened, training ourselves in numbness, but often silently seething. A young mum recently shared with me how her 4 year old daughter was struggling to handle her classmates mocking her. Too young for re-constructive surgery, this little girl lives with scars caused by prolonged use of a nose drip that saved her life as a premature baby. She appears to cope well at school but comes home frustrated and angry- but not sure at whom. Will the ‘sticks and stones’ rhyme suffice? In South Africa today, we are collectively appalled by the never ending Julius Malema saga and the “Kill the Boer” song – now regarded as “Incitement to Genocide.” Today, International courts are being called upon to punish this crime of hate speech. It’s no longer a big news story, but it does provoke so much thought on the power of our words and where things can lead when we are careless and irresponsible for what we utter. At what point do we fully assess the weight and power of our words? When is it that we will exercise our Choice and indeed our Responsibility to use words with Care? To weigh and measure them: what we intend, where and how they will land when we issue them into the world. Bullets can be dug out of wounds and the wounds sutured, but words cannot be recalled. Now you may be nodding and thinking of all the people you know who are abusive, critical, harsh and hurtful with their words. But are you truly more careful? Are you really less guilty? Have you considered, not just the words we use to hurt and label others, but the words we use to dis-empower ourselves??? Lines like, “I’m just a (house wife/mom/teacher/______)”, “I’m so stupid!”, “I’m such a _____” and the terribly abused “I can’t…” These are the greatest abuse of words for they are self destructive. They slowly build in us the conviction of their “truth” and we stop striving for, believing in and dreaming of what’s possible. With this kind of language about ourselves, how do we empower a 4 year old girl to create a narrative about who she is that is more powerful than that of her peers? How do we create a joyously hopeful narrative about South Africa’s future when our speaking about ourselves as individuals, as families and as communities lacks the possibility of being EXTRAORDINARY! Margaret Attwood writes of our ability to “spell” words and cast “spells” with them. Yes, words are powerful. They can and do hurt. But words are also the basis of declarations of faith, oaths and testimony. Words are all we need in any prayer. Words heal. Words nurture. Words inspire. What is the value you place on your word? But what is it we’re so busy doing? I’ve been paying closer attention of late to what people say they’re busy with and without being disrespectful… it’s ORDINARY. In fact, in relation to the hype, emotion, drama and time allocated to many of our everyday activities, there’s a case to be made for our collective insanity. With all that there is to address and transform in the world, all too often our focus as individuals and as a society is on the ridiculously mundane. I recently sat in a presentation done by a very passionate Palestinian youth calling for support for his compatriots in Jerusalem, Gaza, and the West Bank, and for an end to the oppression in his country. What struck me was how a boy so young could be so articulate, well read and so very confident. I was reminded of my own youth during Apartheid South Africa. The rage, the hope and the dreams we fed off, urged us forward. Like this Palestinian youth, we were clear that we had a cause greater than ourselves. We were the generation that would end Apartheid and bring in a new era. Whether you led the rallies and got arrested or just toi-toid from the back, whether you made public speeches or quietly painted banners, whether you new Nkosi Sikelele or only hummed along…if you were from our side of the tracks, you were a freedom fighter! There were times when it was terrifying and times when it was just the sweetest, most thrilling thing to be on the edge of something new and RIGHT. In my daily interaction with youth nowadays, I’m often left with the impression that being born into a free country has deprived them of the inclination to strive, to serve, to belong to a cause greater than themselves. In a free world, it is ME that is important. My likes, My wants, My preferences become the focus of My life. And an entire life can pass with that single focus. But we’re not living in a free world. There are only a few parts of the world where freedom is enjoyed. And it is up to those of us who enjoy those freedoms, to strive to empower those who don’t. Mostly we’re too busy seeking personal satisfaction to set aside time to care. Ironically, spiritual leaders, life coaches and leading psychologists today recommend contribution to others as a sure access to the greatest thrill in life. The ultimate satisfaction of human being is not in being self serving but in serving others. Of course I’m not advocating that we all become monks who sell our Ferrari’s! We don’t have to abandon life as we know it to make the kind of difference that makes a difference. But it would be interesting to start to pay attention to what our attention is generally on everyday. The life of Me…or the difference I can make to others? So today’s blog is dedicated to social activism. This may not change the world, but it is intended to raise awareness, shift our focus, elicit ACTION. Scroll down to the SocialVibe button on the bottom right, click it and support my Cause. It’s a really small action to take in a day full of me-business, but it’s a difference making action: everytime you press the button, you urge big sponsors to make micro donations to the project of choice. The SocialVibe project supported by Creative Introspection, is DO SOMETHING. DO SOMETHING challenges young people to become people of action. It provides them with the tools to transform their own energy, ingenuity and innovative thinking into meaningful action in the world. I found it most appropriate as the purpose of this blog-site is to engage in reflection, then take creative action and encourage YOU to reflect, challenge and take action too. Our commitments and affiliations may be to different causes, but we can only realise any of them through taking action. Press the button. Become people who DO SOMETHING today that will bring about a change.